The Enterprise Server Job Config page in Enterprise Server 9 is used for configuring Enterprise Server Jobs. Figure: The Enterprise Server Job Config page. Step 2. In the Enterprise Server Jobs section, click Job Configurations. 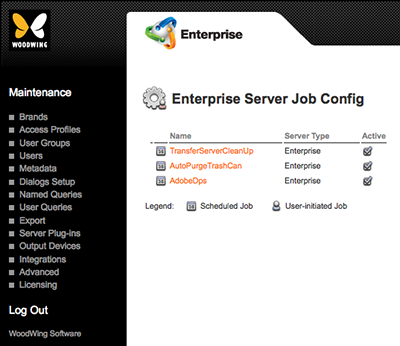 The Enterprise Server Job Config page appears.